Interior or exterior walls or signs gain more visibility with the use of gooseneck lighting. Gooseneck lighting allows light to extend down over the sign without the fixture distracting view of the message. With the round wall mounted back plate, large enough to fit over standard outdoor recessed junction boxes, you can place a gooseneck RLM light almost anywhere sign lighting is required. Aluminum construction allows installation both indoors and outdoors. Made to your specifications, all gooseneck lighting is powder coated to match over 20 colors; further customize your lights with choices of shade, arm style, power source and optional accessories. RLM lighting is popular in commercial interior and exterior design. 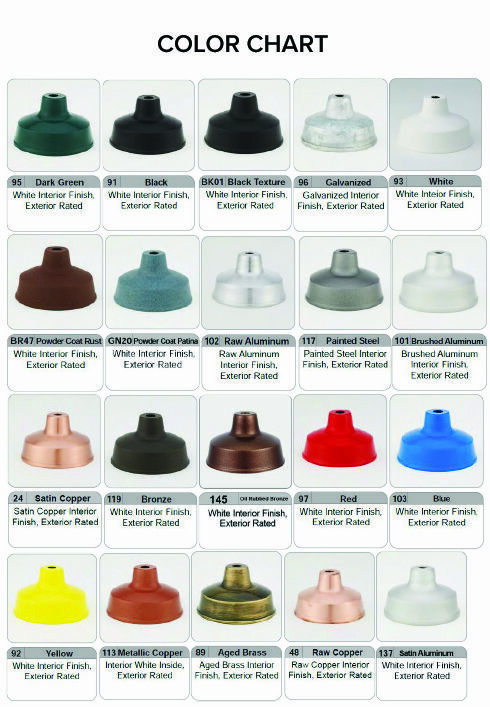 Call for customizations or additional lamping options. For 120v service.